Over the last few decades, Nextel has been one of the most recognizable brand names in telecommunication industry. Indeed, for several years the top series in American auto racing was called “Nextel Cup”. However, in 2005, Nextel and Sprint completed a multi-billion dollar merger. The ‘Nextel’ company no longer exists in its previous form. Sprint phased out its ‘Nextel’ line of products. Recently, a legal fight has emerged over that brand name. Another Florida company, Retrorands, wants to revive Nextel. However, this company has no connection to Sprint or to the original Nextel. In response, Sprint filed a trademark infringement lawsuit. According to Sprint, Retrobrands is attempting to unlawfully benefit off of the ‘Nextel’ trademark. Here, our top-rated Miami trademark litigation attorneys provide a brief overview of the key issues at stake in this case. The Nextel Trademark: Was the Brand Abandoned By Sprint? In 2016, a Florida based company called Retrobrands began to take action to bring back the ‘Nextel’ as a brand name. As the name of this company suggests, Retrobrands has a unique business model: the company intentionally tries to restart brands that have been abandoned. For reference, the company currently owns a profile of brands that have largely faded from memory. Some examples include: Chipwich, Dash, Mr. Microphone, and their newest company, Nextel. This of course raises an interesting question: Can they even do that? Can a company intentionally restart an old brand even if they had no connection to the original company and never received or purchase authorization to use the brand name? The answer is that it depends. On one level, the answer is definitely yes. Trademarks can be abandoned by the original user. A company cannot simply ‘sit’ on a trademark and not use it indefinitely. 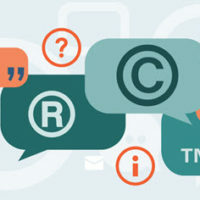 Under U.S. law, trademark rights are typically lost after three years of commercial inactivity. Retrobrands argues that Sprint abandoned Nextel in 2012. The company believes that Sprint lost all rights to the trademark at the time. 2012 was when Sprint announced it was dropping the ‘Nextel’ brand name on consumer products, and putting its capital behind the ‘Sprint’ name. In its trademark filings, Sprint is not contesting the fact that trademarks can be abandoned. However, the company is strongly pushing back against the idea that it abandoned the ‘Nextel’ name. Like all trademark issues, this will be a heavily fact specific case. It will need to be resolved with a careful review of the specific actions of each party. At Pike & Lustig, LLP, our skilled trademark litigation lawyers have deep experience representing individuals and business across South Florida. If you need trademark law advice, our legal team is standing by, ready to help. For a free, no obligation initial consultation please call us today at 561-291-8298 in West Palm Beach or at in (305) 985-5281 Miami. We look forward to assisting you.